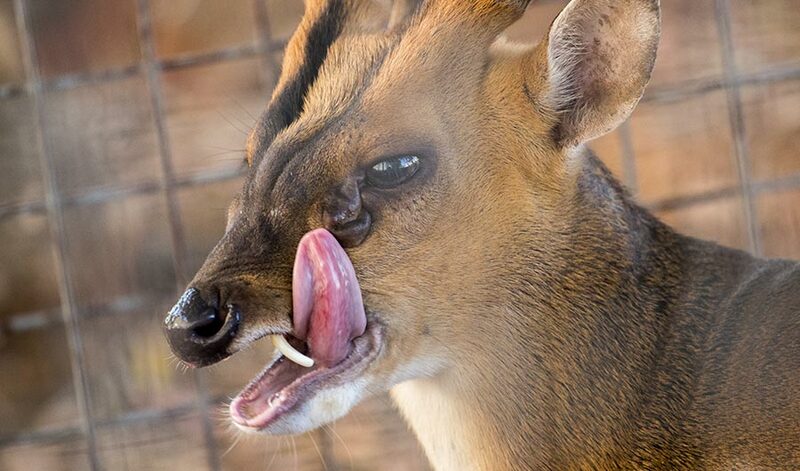 Indian muntjac deer have both fangs and short antlers. (Inside Science) -- When do you need a broadsword, and when would you be better off with a dagger? That's the question that faced artiodactyls, the group of mammals that includes deer, antelope, goats, giraffes, pigs, buffalo and cows, during their evolution.